Fans of the band Genesis have something to be excited about this year, and it’s not the band’s official “R-Kive” box set and flawed documentary! 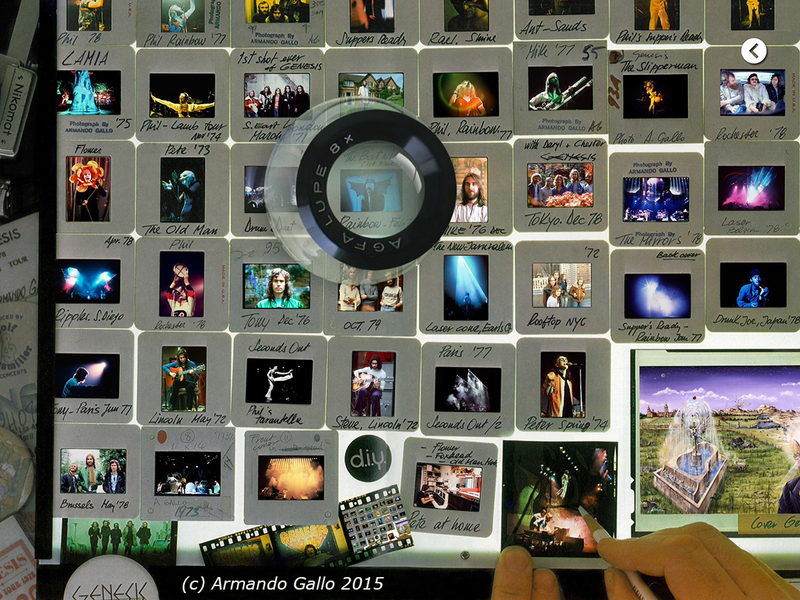 Author and photographer Armando Gallo just released an iPad app titled Genesis – I Know What I Like that brings to life his landmark 1980 publication of the same name. 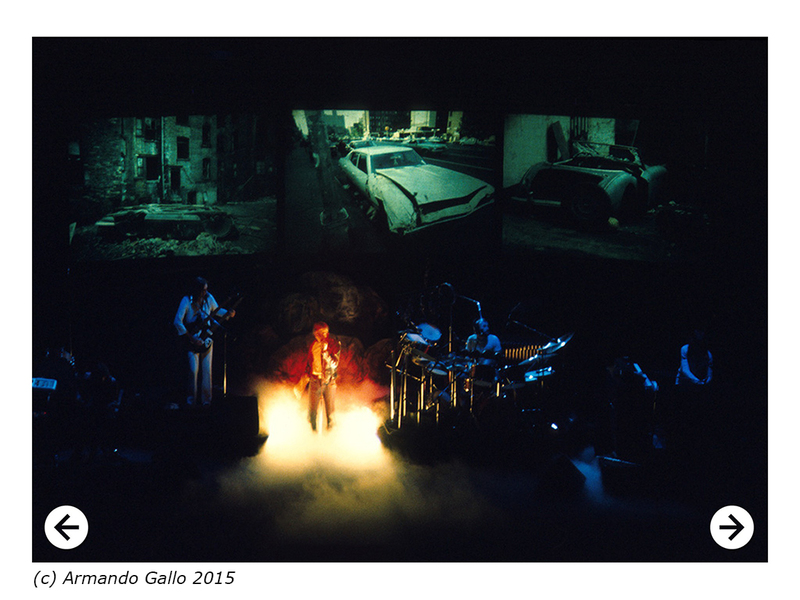 Gallo and his team have fashioned a beautiful alternative to the long out of print book that presents revised text, dozens of interviews, rare audio recordings, film clips and beautiful photos of the group on stage and off. It’s loaded with features and represents a definitive account of this progressive rock band and their early years. This app comes highly recommended to all fans of Genesis and those interested in rock journalism. 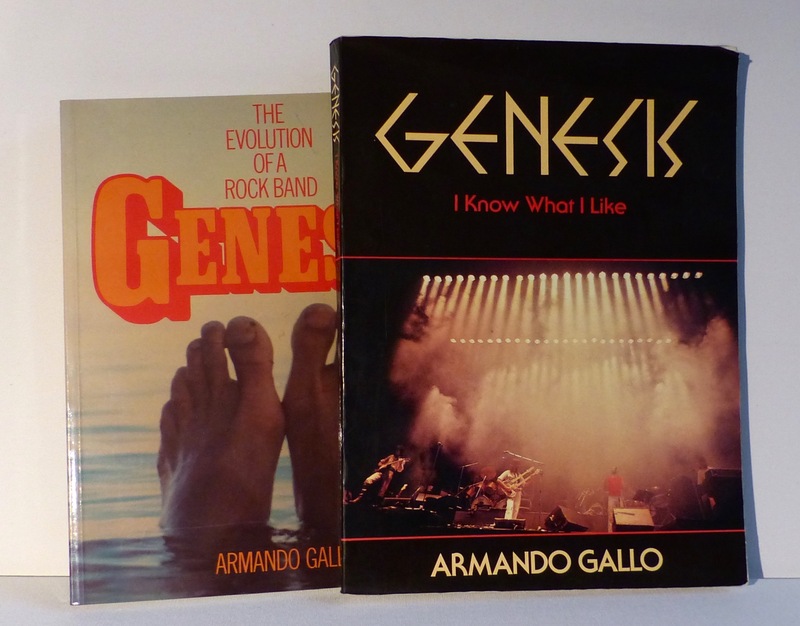 Gallo’s original book was Genesis: The Evolution of a Rock Band published by Sidgwick and Jackson in the UK in 1978. This was expanded and improved with the release of I Know What I Like, by DIY Books, Inc. (1980), which added to the timeline, and contained the definitive account of Genesis up to that year. The book captured their history, recordings, astrological charts (!) and most importantly their stunning live performances, following the story from their inception through the 1970’s. Armando was the perfect biographer for the band as he had collected more than a hundred hours of interviews with the musicians, their families, friends, and collaborators, pairing this with his own exceptional photography. Because Genesis was such a theatrical, visually stunning band in concert, the real treat of these books were the photos. The DIY release came on better paper stock, and contained perfectly rendered full color shots of the band together and apart. For more than two decades, prior to the emergence of internet fan groups, besides a couple of very low quality films from 1973 and 1976 these books were the only way to access quality imagery of the band in concert. Those of us who loved the group, and particularly those who missed the early years relished these images. 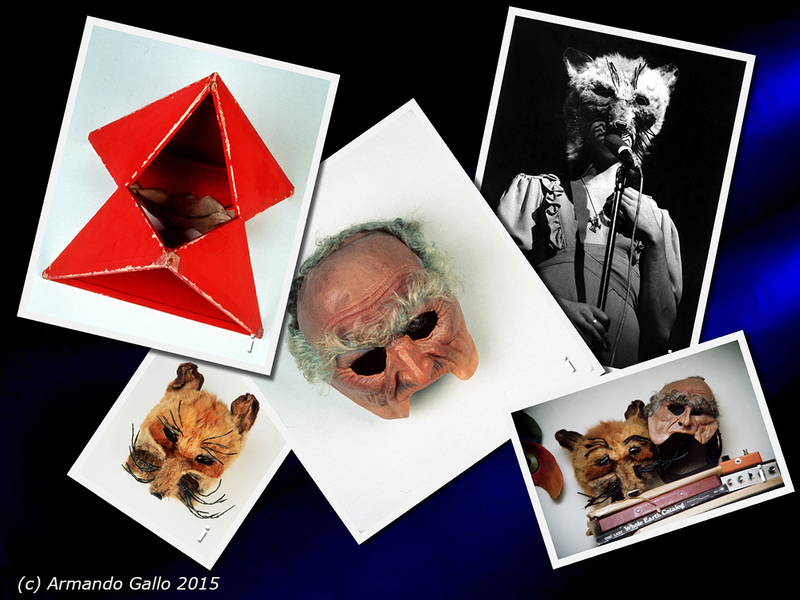 The photos featured Peter Gabriel’s increasingly elaborate costumes and set pieces, from the fox head mask (with wife Jill’s red dress) to the old man of “The Musical Box”, the Apocalypse from “Supper’s Ready”, “Watcher of the Skies” and finally Gabriel as Rael from The Lamb Lies Down on Broadway. These were followed by gorgeous shots of the band as fronted by Phil Collins, after Peter’s departure, from the Trick of the Tail through And Then There Were Three albums and tours. 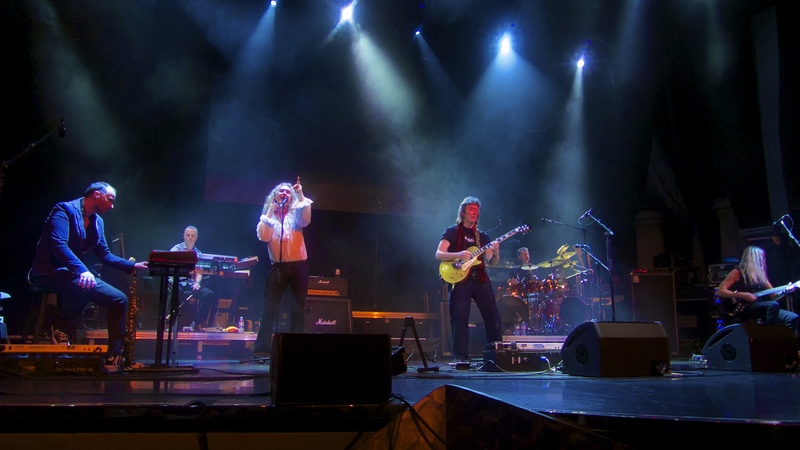 This included perfectly composed shots showing guitarist Steve Hackett, bass/rhythm guitarist Michael Rutherford, and keyboard genius Tony Banks along with all of the fantastic staging and lighting from the shows. 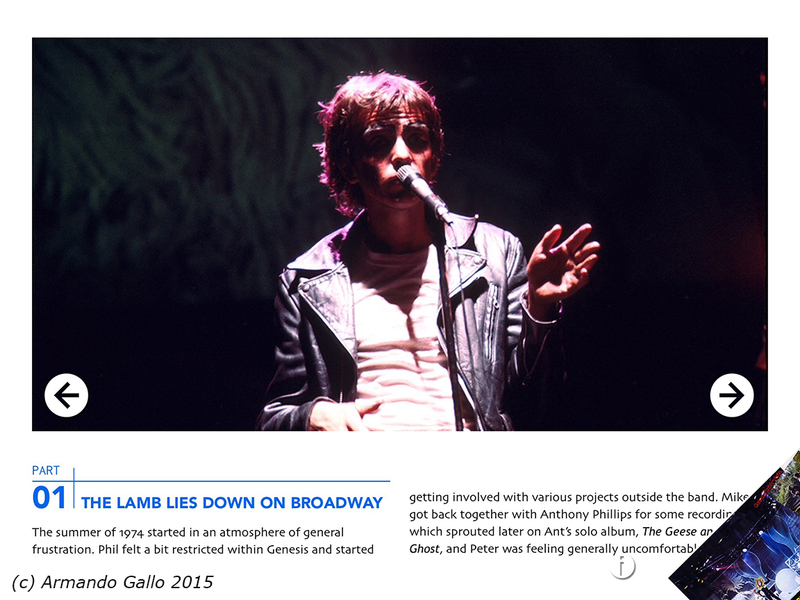 The book also covered the early solo careers of each band member, ending with a hopeful quote from Gabriel about what became an abandoned project to turn The Lamb… into a movie. Gallo’s iPad app transforms this two-dimensional print experience into a new interactive journey. Using a software platform originally designed to create children’s books, the story is brought to life by including recordings of some of those actual interviews, short video clips, and additional color photos. Genesis songs play in the background. 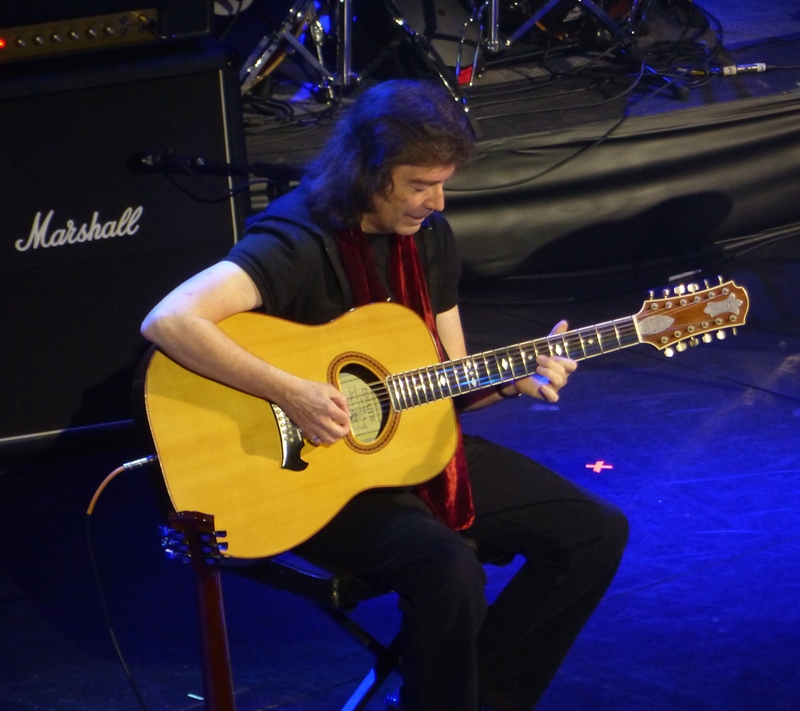 Anthony Phillips, Steve Hackett and Daryl Struemer supplied original songs and more than a dozen musicians from all over the world supplied original music. 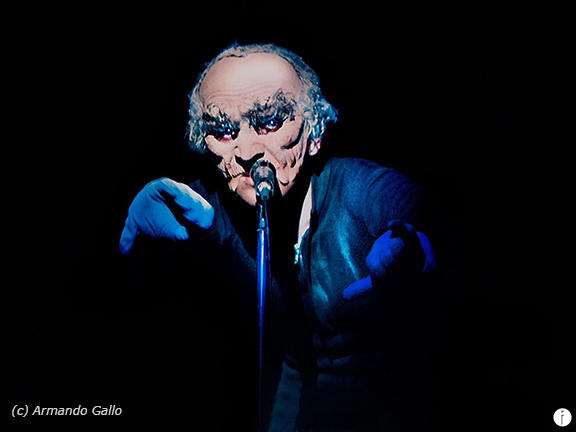 These musicians are fans from Australia, South America and Europe, who were inspired by Genesis to go professional. Visually, there is a most impressive ability to manipulate photos as they appear on the page. Readers can grab shots, move them across the window, resize and return them to the margins. Some free features included in the app are the ability to “pose” with members of the band for new snapshots, and grab and use prints as wallpaper. A modestly priced in-app purchase unlocks the entire book and many additional features, including a “lightbox” of Gallo’s slides. These are some of the most entertaining features of the app and are well worth the fee – go for it! Armando himself introduces the app with a bit of background, ending with the heartfelt coda, “I hope that this app will push the legacy of Genesis music into the future for a new generation to love and discover…welcome to the wonderful world of Genesis”. 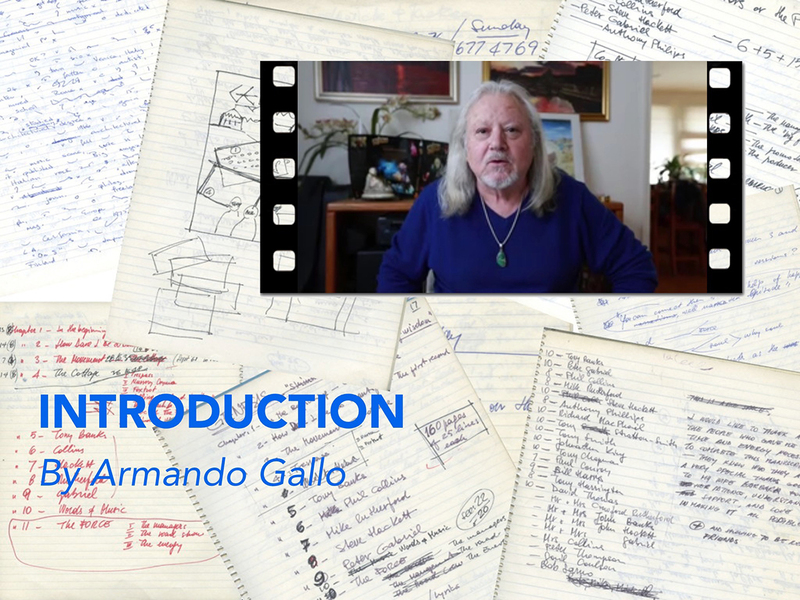 Download the app, unlock the entire book and extra features and experience that world with Armando Gallo…you will like what you know! I actually tried to return this album to my local “Licorice Pizza” record store after spinning it just once, back when it was released in 1977. At that time, it was more common for a local record shop to employ teens who might help guide you to new records based on your taste, instead of making you feel like a complete idiot. Knowing I was a huge fan of all things Genesis the clerk encouraged me to keep it for another week and try again, that “it wasn’t rock ‘n roll, but I’d like it.” I loved the brilliant second Genesis album, Trespass, and knew that Anthony Phillips had been their guitar player then, but leaned a bit more towards the sound of “The Knife” than “Stagnation” at age 17. However, I followed his advice and have thought for over 30 years now about the thanks I should have given him for convincing me to keep this amazing record, one of the most beautiful thematic albums ever recorded. Only which way will the wind blow next time? Phil’s pretty, choirboy like vocals and 12 string guitar accompaniment draw the focused listener back to another, simpler time, evoking the pastoral scene gracing the album’s front cover. It’s one of the most graceful, exquisite songs of all time. What follows is a magnificent showcase of acoustic 6 and 12 string guitars, bass, cello and violin (with occasional orchestra), winds (including flute, oboe, recorders, and lyricon), and all manner of piano and keyboards, with sparing use of electric guitar, drums and percussion. Besides Phil Collins and Michael Rutherford of Genesis, additional guests will be familiar to fans, including John Hackett (brother of Steve) on flute and Jack Lancaster (Blodwyn Pig, Lancaster Lumley, Aviator, and many others) on flute and lyricon. Viv McAuliffe sings a duet with Phil on “God If I Saw Her Now” – a lovely delivery on this touching song. 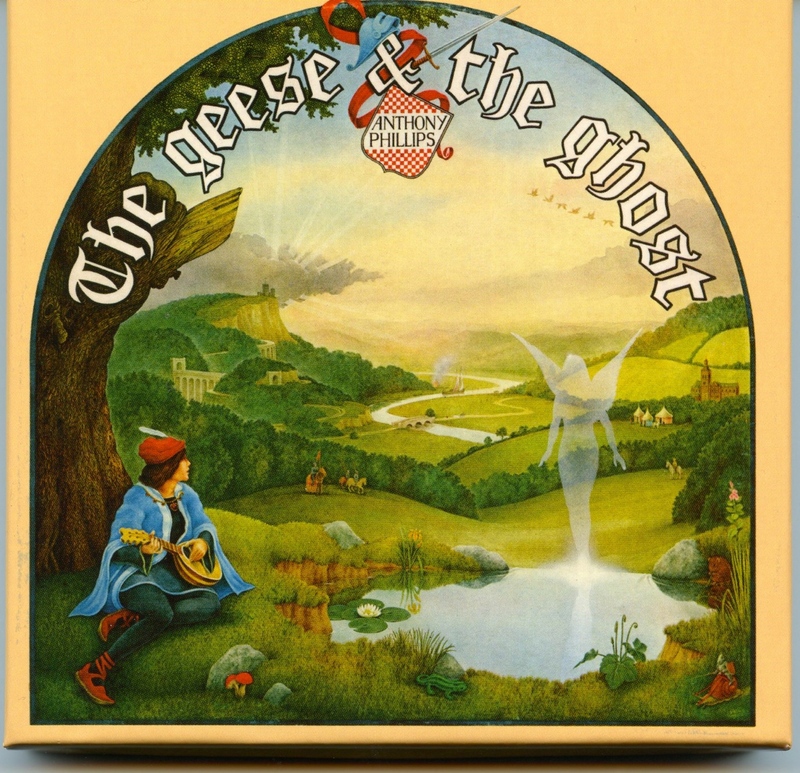 The featured tracks are two suites, the renaissance sounds of “Henry: Portraits from Tudor Times” and the title track “The Geese and the Ghost.” These suites are multi layered acoustic masterpieces featuring dexterous 12 string guitar playing, composed by Anthony and Mike – much of it way back when Trespass itself was written, then developed over the ensuing years. Anthony sings a third vocal track, “Collections,” in his breathy, quavering manner, ending the record with one of the most emotive, poignant piano pieces ever put to record, “Sleepfall: The Geese Fly West” ending with an orchestrated coda so delicate it seems to vanish in the distance of an imagined dusky sunset. The material for the album was written and recorded over a period of seven long years, before finally seeing the light of day, due mainly to busy schedules and record label indifference. It’s a wonder the album did get released on Passport records in the states and Hit and Run records in the UK and elsewhere. That it did, and is now available in this new re-mastered release from the Esoteric label, available at Cherry Red records, is a blessing. The three-disc set is by far the best presentation of this material since the original LP release. The stereo CD is crisp, clean and most importantly quiet. The DVD disc includes a version of the main album in a 5.1 surround sound mix. These 5.1 mixes, which have been so popular of late for progressive rock re-masters, often don’t satisfy, but this is a case where they accomplish what is intended. The mixes place the listener right in the center of the dense acoustic recordings, illuminating additional detail, and retaining all the clarity and integrity of the stereo version. A second disc of bonus tracks include several that fans will already know – one of the best being the track Anthony recorded with Mike and Phil in 1973, “Silver Song,” written for departed early Genesis drummer John Silver. This is followed by what might have been a B-side “Only Your Love” from the same period. The two tracks feature Phil again on vocals at a level of quality that should have made his replacement of lead singer Peter Gabriel two years later an easier decision. Apparently there had been consideration of making this a side project while the Genesis gem Selling England By The Pound was being written. Amazing how much music was pouring from these talented musicians during that period. 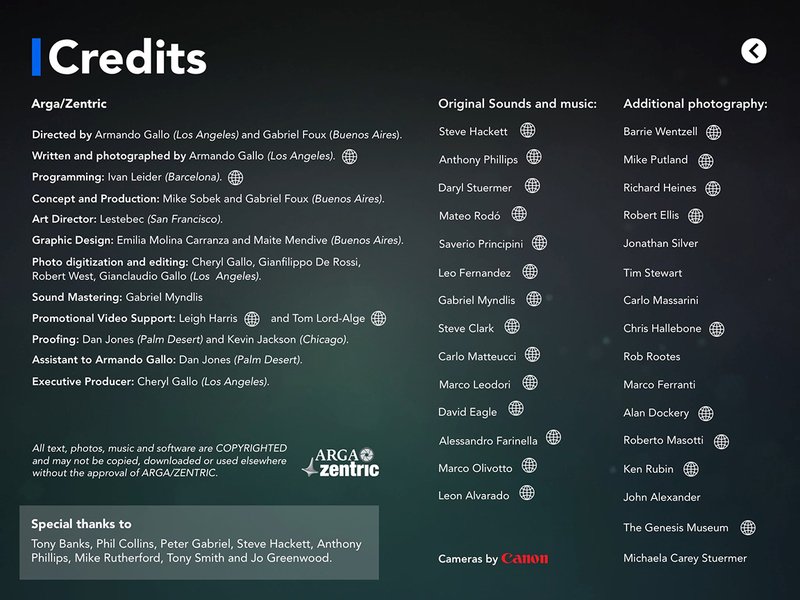 Besides Anthony’s “Master of Time,” the rest of the bonus tracks are demos and outtakes from Geese – of interest mainly to fans who may want to dissect the final product. One last thing as far as content – it should be noted that a short segment of additional material was found for “Henry” – a reprise of “Lute’s Chorus” that will please fans and new converts alike. No question this album rewards the focused listener who is open to classical and renaissance era music, with just a hint of progressive “rock” for good measure. It’s [not] only rock ‘n roll, but I like it ….rather, I love it. The teaser for the new documentary “Genesis – Together and Apart” (in the states called “Sum of the Parts”) begins with a quote from Phil Collins: “We’re out entertaining people and if they’re entertained we’ve done our job properly” – later adding “We just got more and more popular – I won’t take the credit and I won’t take the blame.” This perfectly sums up the dichotomy that is Genesis – the older work in the 1970’s from Trespass (1970) to The Lamb Lies Down on Broadway (1974) with Peter Gabriel up front, along with the three subsequent albums created after Phil Collins took over vocals, found the band playing an eclectic blend of classical, rock, and English folk – a complex, determined form of “progressive rock.” The latter half of the band’s career in the 1980’s and after brought them massive success as a skillful pop rock band. The two incarnations have been at odds in the media for decades. During the early years the group was subject to criticism from mainstream press as being too obtuse, too arty to be real “rock-n-roll.” But then the latter, more popular incarnation that embraced pop over prog was accused of having sold out – of cashing in. When you listen to the band members interviewed in the documentary, you still pick up on the impact of this contest between complex artistic music and the more simple pop form. In reality given a bit of distance and historical perspective, both phases of the bands career have incredible merit, and the debate is needless. Unfortunately, in editing the new documentary some the early Genesis story was cut a bit short, both in terms of coverage of their ‘70’s work and also more seriously with the exclusion of the long solo careers of founding guitarist Anthony Phillips and his replacement Steve Hackett. In addition, editorial as to the time when Steve joined and then later left Genesis, and two of the Genesis albums containing much of his best work with the band receive short shift. Steve complained of this in print, stating: “It’s certainly a biased account of Genesis history, and totally ignores my solo work.” The truth of this is immediately evident to any knowledgeable viewer. Voiceover: After Anthony Phillips departed Genesis, the search was on for a new guitar player. 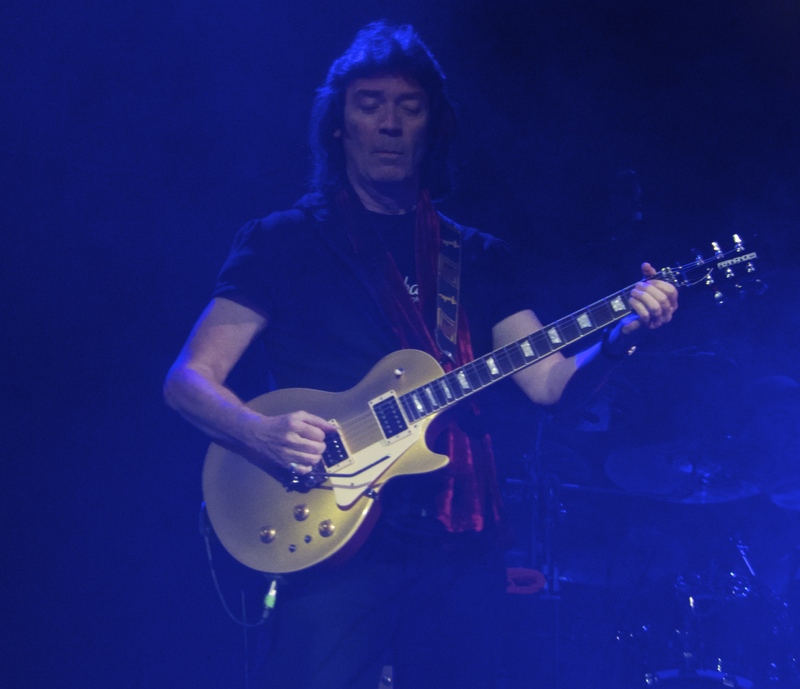 Steve Hackett had placed an ad in Melody Maker seeking a band “determined to strive beyond existing stagnant forms.” Indeed, Steve brought a definitive edge to the Genesis sound – he could in one turn play quiet 12 string guitars in harmony with Mike Rutherford, then cut to his electric guitar for searing riffs and power-chords. Never monopolizing the limelight, he seemed comfortable taking shorter leads and coloring the bands overall sound with intricate, detailed playing. Music Journalist: Steve’s tapping technique, an influence on so many guitar players including Eddie Van Halen deserves due credit as a key part of the early Genesis sound, as heard on tracks like “Return of the Giant Hogweed” or the tapping and sweep picking heard on “Dancing with the Moonlit Knight.” Steve hit fewer notes but invested them with feeling, precision and import. Gardener: The plaintive sustained tones making up the melody in the center of “Firth of Fifth” is one of the most beautiful and compelling musical passages in their early work. The middle solo, even when played by touring guitarist Daryl Struermer, remained a highlight of their shows for years. Radio DJ: To be honest, Selling England By The Pound marks the point at which the band really sound fantastic in the studio and represents the best summary of that era’s very English, pastoral, classically tinged progressive rock. Pop Music Critic: I don’t know what “progressive rock means” – unifauns? Twenty three minute, six second songs… really? Voiceover: Steve recorded his first solo album just weeks after the last date on the Lamb Lies Down tour and at the same time the remaining members of Genesis were working on their first post-Gabriel recording. The album sounds quite a bit like Genesis, even sporting some material that the band had auditioned but rejected. Music Journalist: The standout tracks are the rocking opener “Ace of Wands” and the closer – the beautiful, haunting “Shadow of the Hierophant” which ends in a doom-laden coda that would have perfectly fit Genesis. Though Mike and Phil both play on the record, Mike states in his autobiography that he felt a bit badly about the timing, since the real focus of the four remaining band members was to get the next Genesis album right. 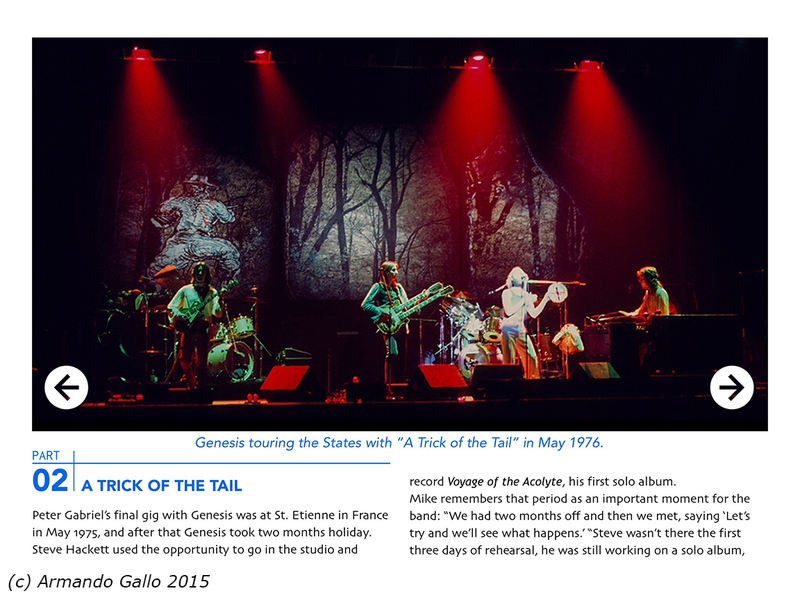 Gardener: As it turned out, the next album A Trick of the Tail (1976) ended up doing quite well, and Steve seems as confident and vested in that work as anything. Steve’s album also did a decent business… but it was also the first step towards leaving the band. Music Journalist: The Wind & Wuthering album and it’s companion EP Spot The Pigeon are outstanding, showcasing every member of the four piece band, and containing some of Steve’s best work – the opening siren call of “Eleventh Earl of Mar” with it’s quiet centerpiece – the gorgeous classical guitar featured on “Blood on the Rooftops” and the three part album closer that follows – still featured in Hackett’s concerts today. Pop Music Critic: Steve left the band at the end of mixing for Seconds Out – the double-live album culled from their 1976-77 concerts, as it was clear his role was waning and they were moving in a more pop friendly direction. Comedian: I’m into Genesis and I’m not going to apologize! Not too sure about “Squonk” though! Editorial: In the film, Steve is shown (finally) in group interview explaining that he felt unable to get enough of his material included on the band’s records – ‘nuff said. I’ve always picked up that the rest of the band felt his method of departure was more awkward and acrimonious than has been shared – the “saw him on the street” story Phil tells just seems a bit light. 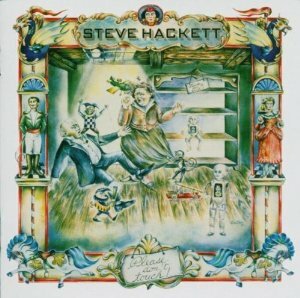 Voiceover: Steve’s first record after leaving Genesis is a bit of an experiment, with Hackett trying out several different styles including rock, prog, and jazz. Guest vocalist Steve Walsh (Kansas) lends his powerful pipes to two tracks, while Richie Havens and Randy Crawford lend softer, lovely tones to three others. Gardener: The title track is a standout, apparently offered by Steve for inclusion on the Wind & Wuthering album, but rejected – it’s a tour de force highlighting his assertive playing, and ability to switch rapidly between keys and meters. 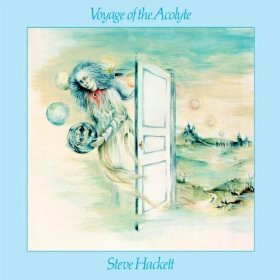 Music Journalist: The delicate instrumental played with just Steve on acoustic guitar and his brother John Hackett on flute, named for his then wife Kim Poor, is exquisite, and points the way to a later acoustic work Bay of Kings. 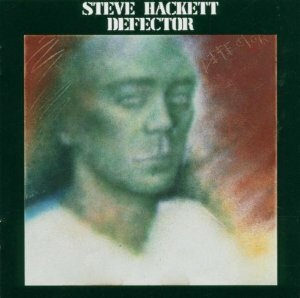 Radio DJ: Ultimately this second album is an amalgam of styles, unique in Hackett’s repertoire – the artist in search of a new sound. Voiceover: Steve’s next album came as he built up a band to tour his solo work. His new group, including Peter Hicks (vocals), Nick Magnus (keys), Dik Cadbury (bass), John Shearer (drums) and brother John (flute/keys) joined to record this album, and undertook a tour to perform it and material from his first two solo efforts. Music Journalist: This album and its follow up Defector is where Steve finds his footing as a solo artist. Vocal tracks including “Every Day” and “The Virgin and the Gypsy,” lend respectable lyrics to both progressive and popular structures. Instrumentals like “Clocks” and “Spectral Mornings” are fine displays of both his pastoral and ominous tendencies as composer. Gardener: This is the album where Hackett truly finds his own voice – the band sound tight as a unit, Hicks delivers smooth vocals backed by Hackett and Cadbury, and the album is a cohesive collection of songs that have an identity apart from Genesis. Editorial: A clear, high quality DVD of one of these early shows was released last year. Voiceover: Defector found Steve continuing in the style of Spectral Mornings – the two can be taken as a pair representing his quintessential work. Music Journalist: Standout track “Jacuzzi” is bright and airy, showcasing Steve’s versatility and John’s fantastic, intricate flute. The mid section veers into more minor tones and highlights Steve’s tapping technique. The whole band plays splendidly on this handsome instrumental. Pop Music Critic: I really loved the song “The Show” when my parents used to play it for me. Voiceover: Steve’s work continued with his last two releases for Charisma – Cured (1981) and Highly Strung (1983). He continues his solo career today, alternating between classical, jazz and progressive rock releases. Fans of early Genesis warmed to Steve’s solo work, which continued in more of a progressive rock tradition, albeit a bit updated, fresher sounding in the keys section, and even including a bit of pop structure for good measure. Hackett is also the one ex-Genesis solo artist who consistently continues to perform work he originally recorded with Genesis. He’s released two albums titled “Genesis Revisited” and is currently on a two-year tour for the second, exclusively playing songs from their 1971-1976 output. Given the sold out show at London’s Royal Albert Hall in October 2013, it’s clear there is still strong interest in the classic era Genesis work. While we can hope for a expanded documentary that truly shows all band members “together and apart”, here’s hoping this helps to round out the story. Another great way to hear the band members tell the tale of Genesis is to invest in the box sets, which include the remastered albums, and almost all available footage and videos of the group over the years. Each disc contains a documentary of the album, using direct quotes from each member of this seminal band, whether pop or prog. 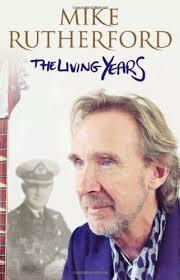 It was with great anticipation that I ordered and devoured Mike Rutherford‘s autobiography The Living Years. After all, Mike’s been a musical hero to me, from his early days in Genesis to their triumphant years of global popularity through to his solo work. His underrated guitar and Rickenbacker bass playing, particularly during the early years of the band is studied and assured. 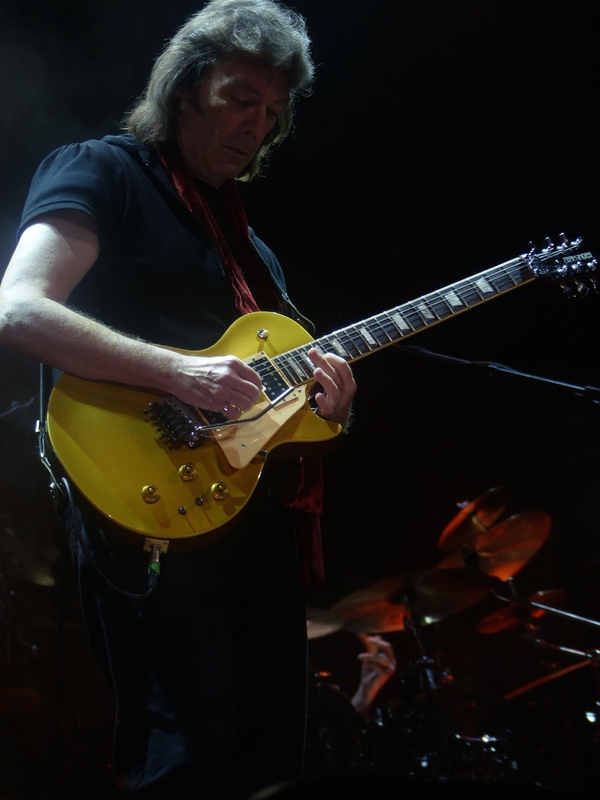 In fact, there have been several chances lately with The Musical Box and Steve Hackett performing early Genesis to witness how Mike played that double necked instrument and it’s a striking thing to behold. Once Peter Gabriel left the group followed by Steve Hackett two years later, I stuck with the band, never being one to hate on later Genesis for being more pop and less progressive (okay, save maybe for the title track to Invisible Touch.) So while I looked forward to Mike’s story about the early formative days, I expected to be pleased with the coverage of his entire career and what he might share of his personal life. After reading the work, there are some pro’s and con’s to the autobiography. There is a key framing device – Mike’s love for his father, and feelings that they did not connect sufficiently during his lifetime – it’s a beautiful sentiment and I would expect nothing less from this gentle soul. But the book is short at only 239 pages, and the amount of space spent explaining his father’s life, including writings from his journals, leaves too little room for Mike to reflect at proper length on the different stages of his career. 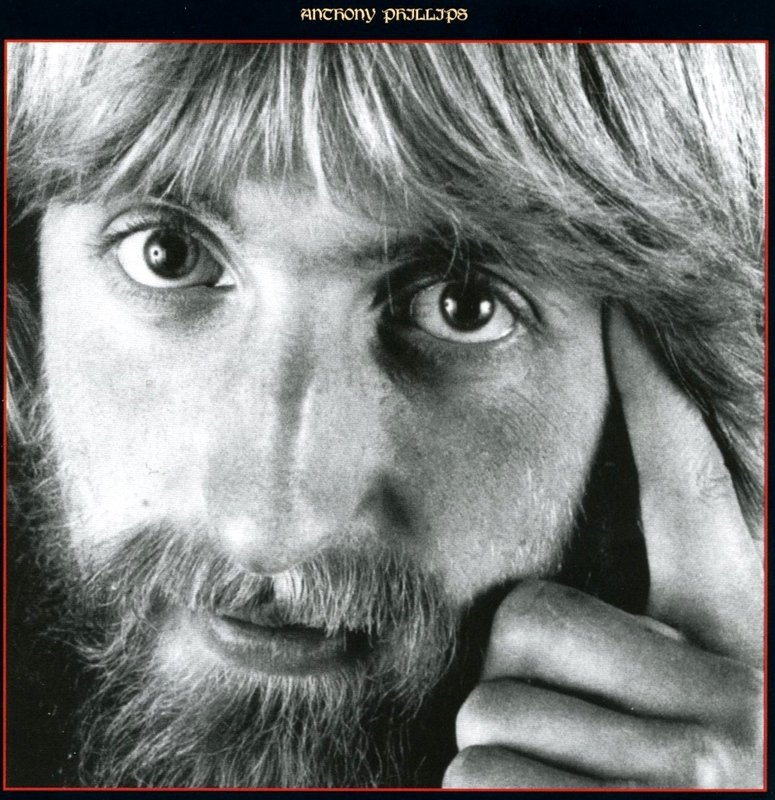 He does offer a comparatively thorough assessment of his early years growing up, becoming rebellious as a teen, and joining Anthony Phillips and the gang in early groups, leading the reader through those times, including how the group that became Genesis formed, their debut album, and first par release Trespass. But after giving those very early formative years full attention, each album or major event afterwards, from the years 1971 on, are addressed with shorter passages, each revealing fewer observations and gems from Mike as author than would be hoped. In some cases, Mike seems not to have perspective on his work, particularly it’s early, more progressive leanings. 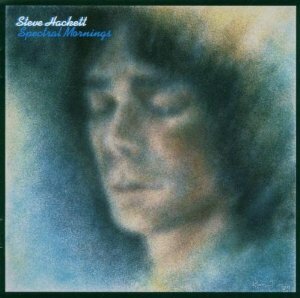 Notably, there’s only a page and a half about the brilliant Selling England by the Pound in which Mike does not reflect on his growth, saying it “wasn’t my favorite album” and wondering how they ended up writing a hit single “I Know What I Like” – even though we can all recall that was a riff Steve Hackett developed and contributed. Little else is said about the artistry of Hackett other than the usual track about how he left the band, his timing in deciding to release his first solo album (just after Gabriel’s departure) and how he had some trouble fitting in to the group. 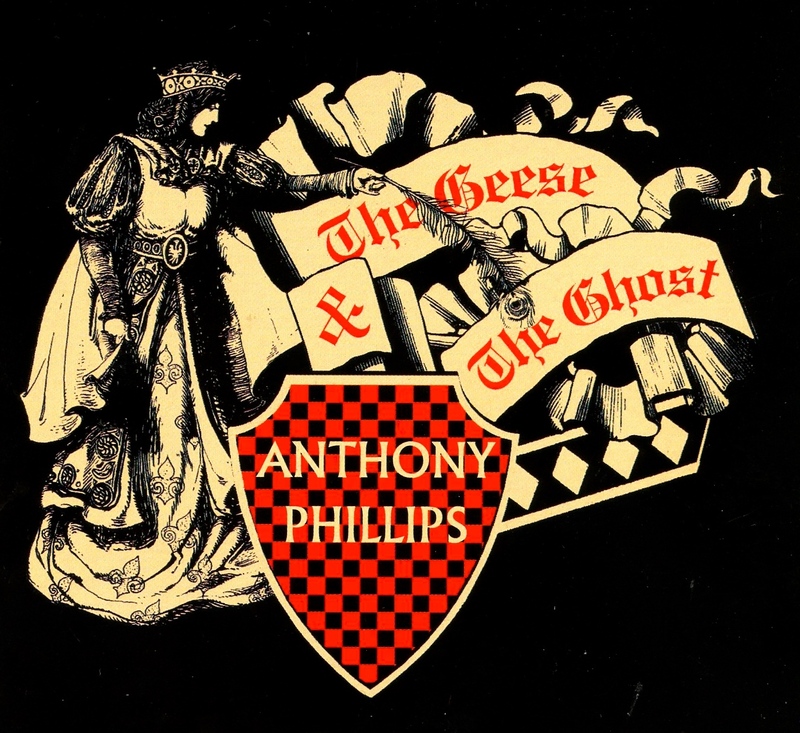 Also, though a lot is said about their friendship, nothing substantial is written about his work with Anthony on the gorgeous Geese and the Ghost record. Mike also gives short mention to the wonderful lyrics he’s written, reflecting that his writing in later years was more fitting. On the plus side, it’s common for biographers to write at length about the early years, before the fame hits, and the first many chapters of this book covering those years through 1970 are complete. Mike does discuss his first solo album, Smallcreep’s Day, which surprised me a bit and I was glad to see that work recognized as an achievement. Also there is good attention paid to Mike and the Mechanics, of which he is justly proud. These are interesting passages, some with new information for this reader and fan. In a rare moment of personal import he explains what was happening with Paul Young up to his untimely death. Also throughout, there are fun recollections from Mike on the adventure of being on the road – the hotels, food, some fun times, and lots of speeding on America’s highways – when caught he admits using his British charm to get out a few tickets. Though we don’t get too deep in the psyche, there are some great passages about these times. So on the whole, I liked the book well enough as a quick read and can recommend that at least fans of Genesis, Mike’s solo work and related music give it a try. From another lens, I suppose it’s just what you would expect from the person Mike seems to be – humble, honest and kind, not to mention being one of the greatest songwriters, string men and lyricists of our lifetimes.